Centre Director Professor Andrew Linzey’s critically acclaimed book Why Animal Suffering Matters has now been published in paperback by Oxford University Press. 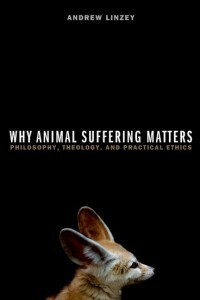 The book pioneers a new theory about about why animal suffering matters and uncovers the rational considerations that should underpin moral concern for both children and animals. It also comprises detailed consideration of the ethics of hunting with dogs, fur farming, and commercial sealing. In addition to being issued in paperback, the book is now available as an ebook and is shortly to be published by OSO (Oxford Scholarship Online) which means it can be accessed online by academics worldwide. The book has been widely reviewed in the popular as well as the academic press and has helped galvanise ethical discussion about animals. Some of the reviews of the book are below.